"Scars of the New Order" materialized during Scott Neuffer's stint as a beat reporter. 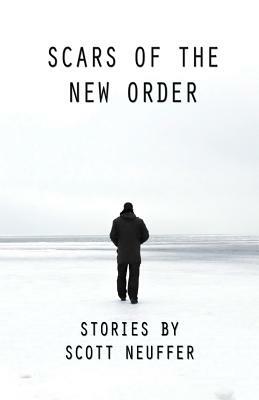 The short stories explore a historical period shaped by millennial youth and aspirations, terrorism and perpetual warfare, economic and political dysfunction, and pervasive feelings of loss and disillusionment. "Scott Neuffer's finely crafted stories explore all things taboo like the dark allure of a bad accident. With their impossible juxtaposition and haunting realism, these are the kinds of stories that make you want to fall in love (again) with the underappreciated, humble short story. They speak about our responsibility to a lost generation, our collective 'voluptuous stink' that shows itself in many varied scars on many varied characters, and each story highlights the marked difference between what we want to be and what we are. The author has said that he promises his next book will be happier, yet a dark part of me hopes he changes his mind." "--Elizabeth Leiknes, author of The Sinful Life of Lucy Burns "
"Neuffer deftly plunges us again and again into darkness--a blizzard-bound snow shelter, a Peruvian slum, a senseless act of American violence--but provides us with just enough light to see by, to hold out for." "--Ben Rogers, author of The Flamer "
Scott Neuffer is a freelance writer who lives in Nevada with his wife Maria and son Andres. He spent five years as a staff reporter for Sierra Nevada Media Group before venturing out on his own. His nonfiction has appeared in various publications and websites. His short fiction has appeared in Fiction Fix, The Nevada Review, and Underground Voices' print anthology. He is currently working on a novel.